Culotte is known as pants that look like skirt. Back at many many years ago, it was made for knee-length but as we concerned, it has been developed in the variety of 3/4 or 7/8 length and also different prints and fabrics. I know this is a totally different blog post from my entire fashion/personal style posts before. If you follow my instagram, you know I looooooooveeeeeeee to do some little experience in my kitchen (well, it's not fully my kitchen because I shared the house with 4 other people). I love to eat and do cafe hopping but even more, I have a big heart on experimenting or making my own twist of food/beverages. Therefore, let me kick off the very first post of "Homemade Series" with a homemade milkshake just right in time for Valentine's Day. Spending your Valentine's Day with your loved ones or simply by yourself has changed to a whole another level when you do it on your own. Some people choose to go on fancy dinner, picnic or even a vacation, but what if you're on a limited budget but you still wanted to celebrate? 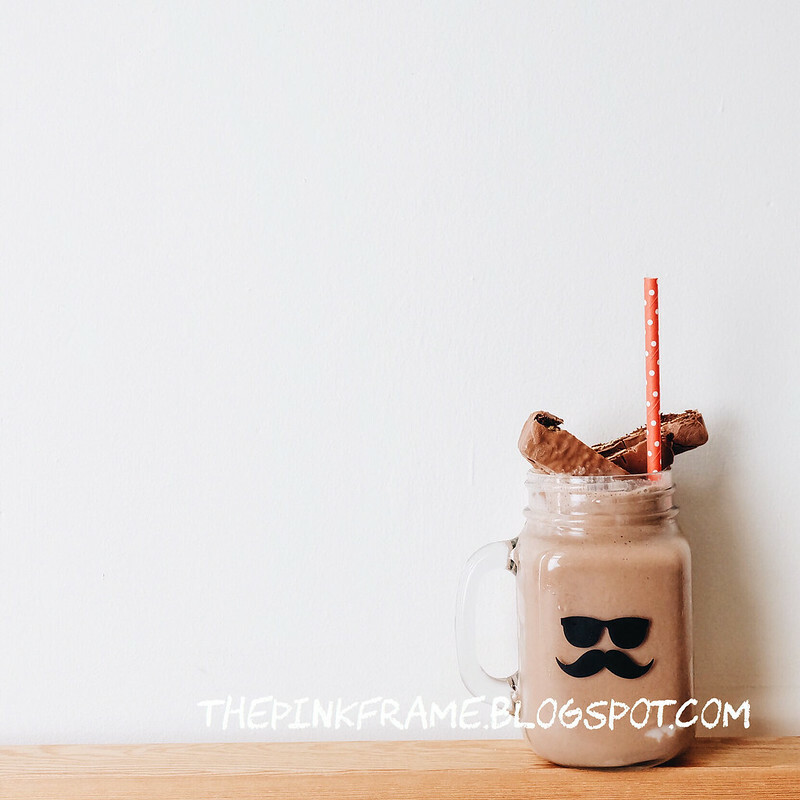 Throw confetti around like a boss and here I got you my Valentine's Day homemade milkshake : Chocolate Banana Milkshake! 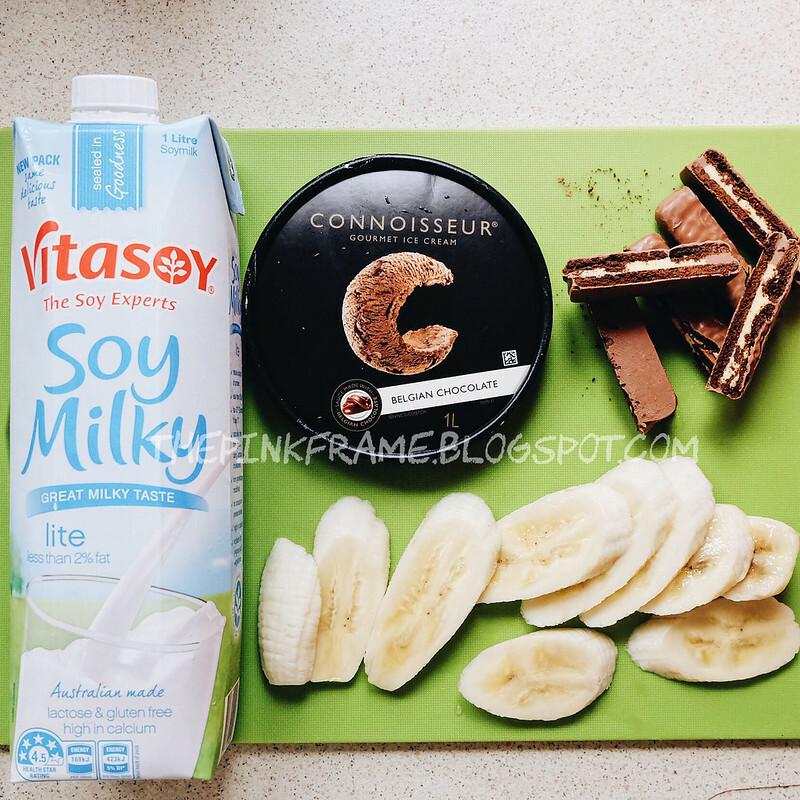 This milkshake is less than $20 (for approx 4 serving) and you can easily get the ingredients at any grocery stores. 2. 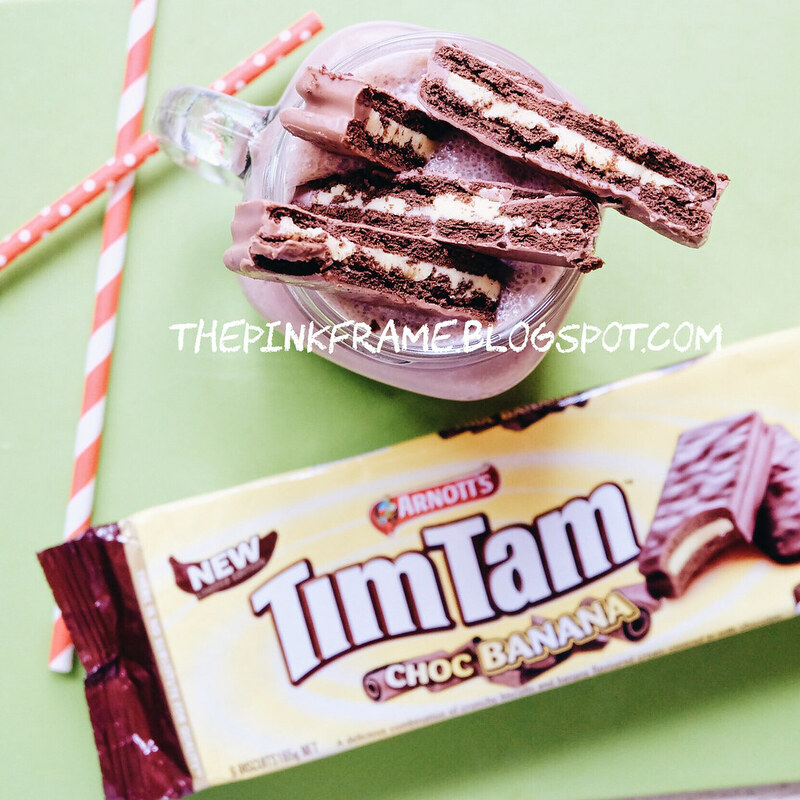 Put your milk, 2 scoops of ice cream, 1 piece of tim-tam and the sliced banana. 4. 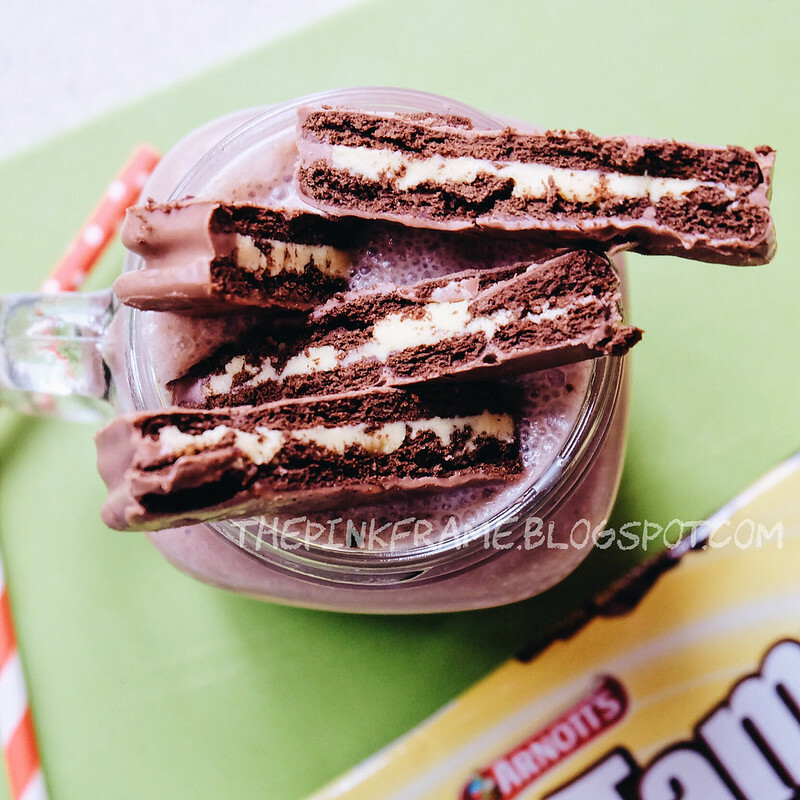 Cut the other 2 pieces of Tim-Tam in halves. 5. When most of the ingredients have mixed well, pour it into your favorite glass. Daryl helped me capture the side that I've always wanted to show, the confidence that I have for myself. Insecurities, sometimes, go up-hill without the realisation that comes across you and to have a fear that is terrifying could easily bring you down. This internal conflict you might have within yourself should not limit you to feel, create and have everything you deserve. I hope you'd tune in Justin Bieber's - Love Yourself as the subtitle was inspired from its lyric while I were typing this. Darling, go and love yourself.